My name is Joseph Catimbang and I'm a conceptual artist also known from my works as Pentasticarts. 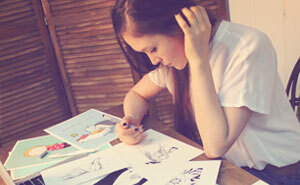 I'm a Filipino-American Illustrator/Graphic designer based in OC, California. As an illustrator, I take on a variety of clientele such as Tentree, Daniel Wellington, Greenpeace, Samsung, Adidas, Lexus and more. 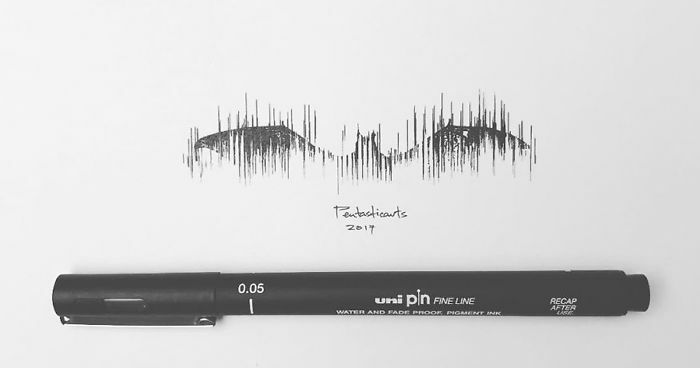 Using mostly just pencils and pens I create minimalistic illustrations that are inspired by nature. But what, I believe, separates me from the other artists is my surrealism. I create hidden illustrations within my illustrations that create a singularity of two or more different subjects blended into one. Something that you will realize, that the more you look closely at my illustrations, the more you will see that there's more than meets the eye. It's a fingerprint and an elephant. Referencing the heinous crimes against such an intelligent and humble gesture. Perhaps that is related to the meaning behind this picture? OP? My favorite so far! So cool! Reach through the clouds for the stars. Schrodinger's cat? (judging by its worried expression). "Did you hear that my pet? All these years, they've been looking for a baby!" Sadly what Earth will look like in the future unless we change. I would love to see a whole set of these cards. Save the bees or we’re all dead. It has a "Banksy" feel to it. Interesting how combatants on both sides have primitive and modern weapons. This one has many rings. I love the fingerprint ones. every animal is as unique as us! When you see it, you can't unsee it. OK WHY DO THEY KEEP GETTING BETTER AND BETTER??? This ones got a lot of force behind it. Monoceros, the Unicorn: animal and constellation. can you break a buck? 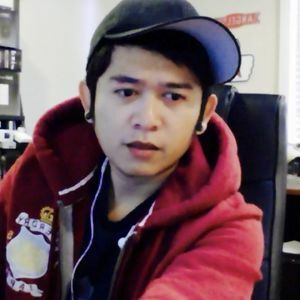 A Filipino Graphic Designer based in OC, California. Joseph Catimbang, uses his passion and skills to create stunning illustrations and graphics for both print and web projects. All of these are amazing.